It is an exciting project that allows us to get a taster of agency life. If you are reading this as a current employee in the Digital industry, I am sure you are aware of the working culture of Digital agencies. Or maybe you are a student who is interested to hear more about the perks of agency life? Digital agencies are often recognised for their vibrant working cultures and relaxed office atmospheres where creative ideas are bouncing off the walls. Now you might be envisaging The Digital Scot team mingling in an open plan, colourful office that smells of freshly ground coffee and has an abundance of fresh fruit. The reality is we sit in a relatively small, occasionally stuffy, grey classroom – but there is sometimes fruit, and we do have MacBook Airs. 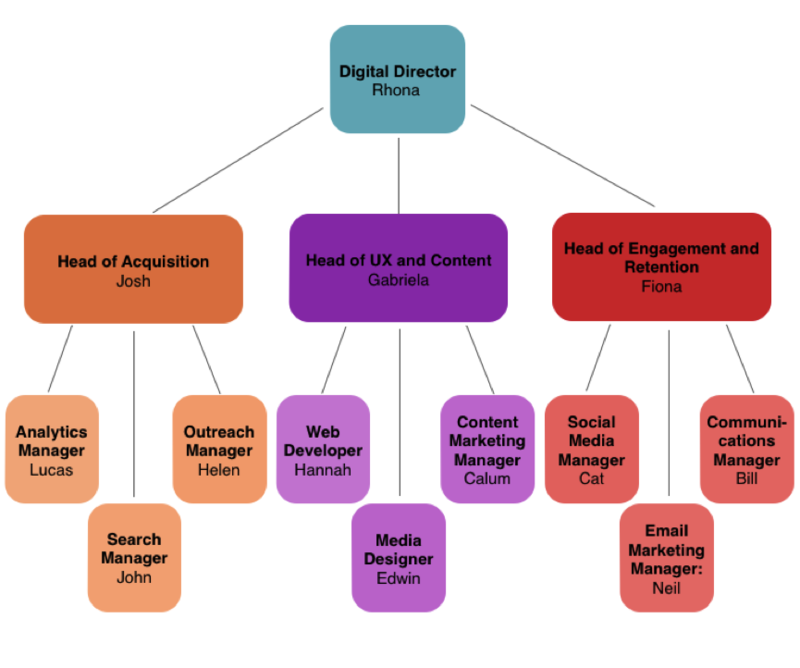 This is our attempt at recreating life in a digital agency. Although our surroundings may not be as glamorous as some large digital agencies or even the Google headquarters, the way in which we work to get tasks done is similar. Much of our time spent studying MSc Digital Marketing has consisted of live client projects where we have gained practical skills and hands- on experience. The projects start with a brief designed by the client, from which we have to decipher precisely what the client wants, who the main competitors are, who the key target publics are, and how exactly the digital marketing problem will be solved. As well as working on projects we have learnt key digital skills such as SEO and Google Analytics. This has prepared us for The Digital Scot project, which is entirely student-led and ultimately is preparing us for careers in the Digital industry. We tend to have agency meetings twice a week with the whole team. At these meetings we discuss as a team what each group has achieved that week. It is also a time when any major decisions can be made with the input of every team member. 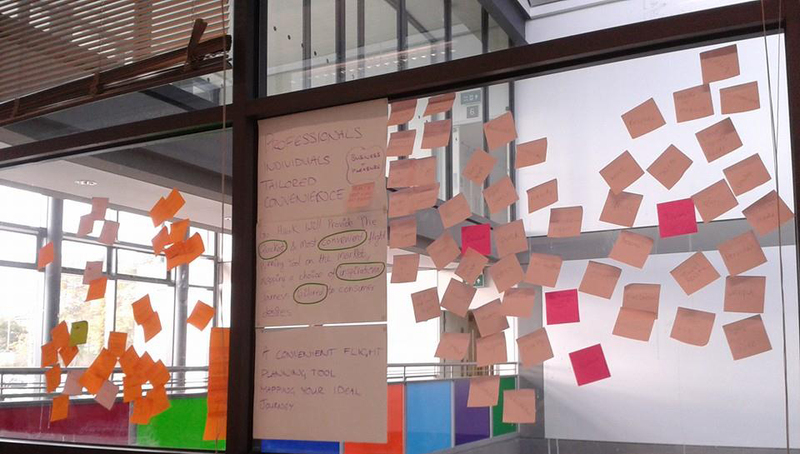 At this point there is often colourful post-it notes flying around the room, which helps to brighten up the grey interiors. The rest of the week most of us work on individual tasks, whether it be market research, blog writing or web design, before we reconvene the following week. There is no doubt it is a challenge at times, but having a student-led project like this is extremely rewarding and we are constantly learning. Our agency culture also allows us to have a few beers in between! After all, we hear that’s what the top agencies do!